MOBAs don't always have to be competitive, they can be co-op, too! 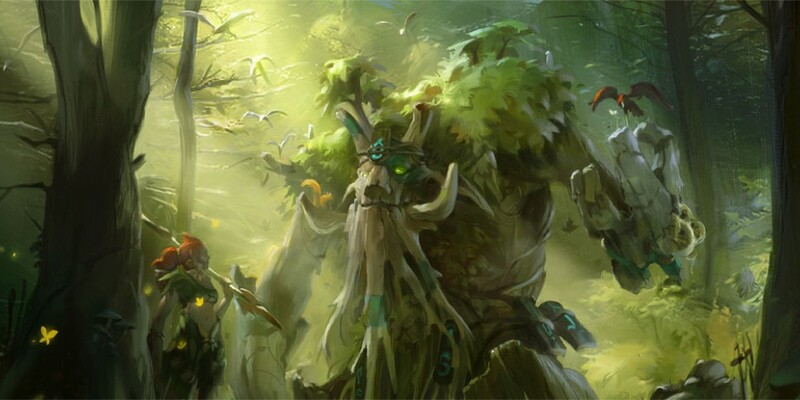 Continuing our Free-to-Play week, Locke and Tally take a look at DOTA 2. While there’s a lot to say about the game, we’ll be focusing on the co-op experience as well as how Valve monetizes the game. One of the things that sets DOTA 2 apart from some of the other MOBA/ARTS games out there is that all the heroes are available to play without any purchase. While many other games support a rotating set of free heroes/champions, all of DOTA 2’s heroes are always unlocked for play. The game does have a shop, of course, but almost all of the items are in some way or another purely cosmetic or vanity items. The items that are not cosmetic or vanity are items that support professional teams/players and have no impact on gameplay. Examples of these are tournament “tickets” (which allow players to watch professional matches in-game through spectator mode) or team pennants (which allow players to equip a flag to show support for their favorite teams). Cosmetic items can be equipped on their perspective heroes to alter their appearance. Players can mix and match pieces of item sets to their heart’s content. Unlike an RPG, these items in no way boost their hero. It is 100% for looks. Vanity items allow players to rename items or keep counters on things such as wards placed or towers destroyed. They also include “battle boosters” which increases the rate which that player (and all players he or she plays with, to a lesser effect) gains DOTA 2 Profile XP. This XP is only really useful for two things: bragging rights for DOTA 2 levels (which means more games played), and every time players gain a level, they are guaranteed an item drop. Almost all of the items available in the store can drop after a matchmaking game (randomly distributed) whether or not someone has leveled, but leveling ensures an item to that player. 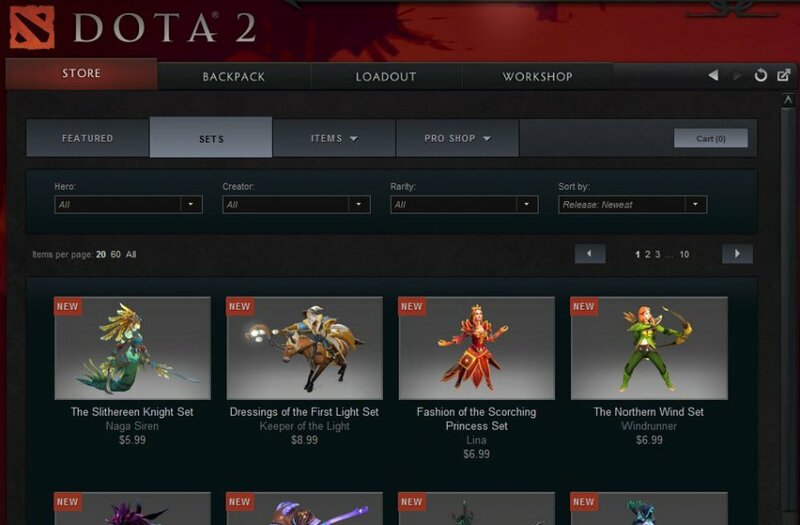 If perusing Valve’s DOTA 2 store, the price for a set is between five and twenty dollars. At the time of this post, there are 5 sets in the store at the highest price of $17.99. The reason these are almost double the price of other sets is because they come with a ‘legendary’ item (usually a mount) that is always quite expensive. 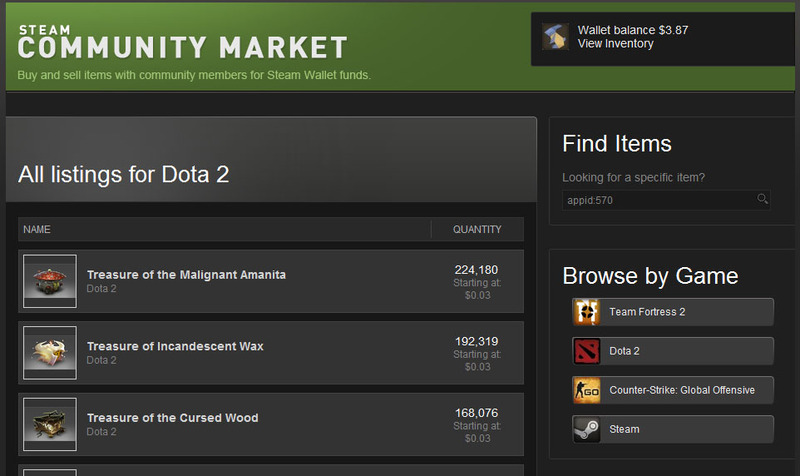 The colored loot system exists in DOTA 2, and is directly related to the price of an item. Commons and Uncommons can be purchased for mere cents, with the price increasing with rarity. If one turns to Steam’s Community Market, all sorts of treasures can be found with prices skewed in both directions. Some items in the Valve store are available on the marketplace, but most hero items are not for sale on the marketplace, due to a an obvious conflict of interest on Valve’s part. Marketplace items are usually items that are not available for sale in the store. There are several standout items that have high price tags. These include the Vintage Timebreaker (going for around 50 USD), the Dragonclaw Hook (around 90 USD) and the Genuine Battlefury (100 USD). All 3 of these items are highly sought after by traders and are some of the types items that collectors pursue. Once again, they're purely cosmetic. The cheapest ‘item’ on the market is technically the chests that drop randomly, each of which can be picked up for less than a nickel. The catch is, keys are required to unlock the chests to get the goodies inside (made popular by Team Fortress 2). A single key costs about $2.49 on the Valve store. However, when it comes to actual hero items the least you will pay is $0.99 for a common item. Page created in 0.3453 seconds.